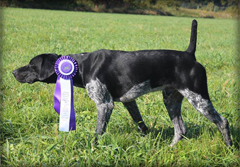 We breed and sell a limited number of litters each to further the breed lines. If you don't see what you're looking for, feel free to contact us for details on any planned or available litters from Top Secret Kennels. We are accepting deposits on the following German Shorhair litters. Deposits are non-refundable but, if the breeding does not take, the deposit may transfer to the next available litter. Please keep in mind that pups are sold in the order we receive deposits so it's best to reserve your pup early. We currently have the following litter available for sale. 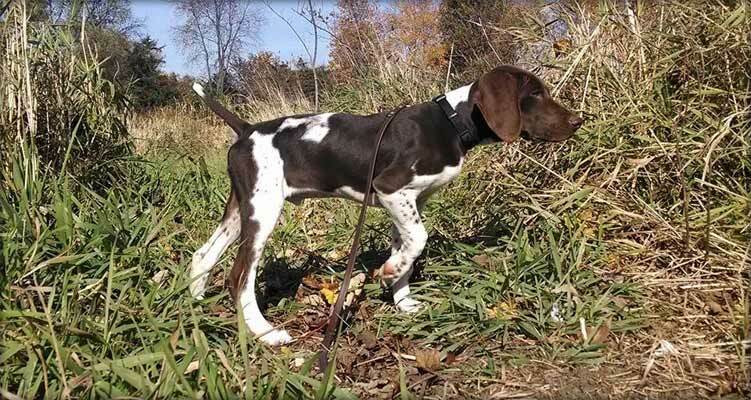 We will only breed a limited number of German Shorthair litters each year so we encourage you to check in frequently to view our available litters. 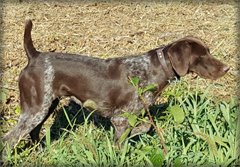 If you're still looking for an exceptional hunting companion, we encourage you to contact us directly and we can refer you to pups from our stud dogs or puppies from client dogs that we have trained.